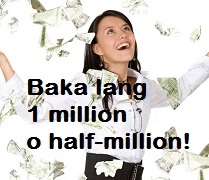 Naka-save ka na ng 600 pesos, baka manalo ka pa ng half-million or 1 million pesos! Type your Pag-ibig MID No. You will see your data. Type your email again to confirm. Type your mobile phone no. Wait a while, if the Internet is slow. You will read: Thank you for joining Pag-ibig Expanded Raffle Promo. A confirmation email will be sent to your email address. Save 600 pesos or more again next month. pag-ibig 1 at pag-ibig 2, puwedeng isali sa promo? MLB must not have the ability to randomly test for marijuana? We all know that stuff makes you lazy not to mention its illegal, but it just might be the lesser of two evils when it comes to young developing players. Would you rather have them out drinking and chasing women at strip clubs or sitting at home smoking weed and playing Xbox? No need to be worried about any slander here, just stating what many people already knew. Hi Trev, one-time lang ang registration. Maisasama lahat ng hulog mo na 600 pesos or 1200 or higher multiples of 600 after one-time registration, based sa experience ko. Delayed lang silang mag-send ng raffle nos. Every month po ba pwd mgregister? Pano po ung succeeding months na january and february na wla g hulog pa.. nkregister naq pero ask q lng pano ung mga ihhulog q sa feb and march, mssma b un at mbbgyan ng raffle entries na bago? Hi Eduard, nag-register ka ba sa promo after you paid your first 600 pesos? Kasi ako meron namang natatanggap na email. Pag hindi ka pa registered, click mo lang yong promo sa post ko sa itaas. Or go to pagibigfund.gov.ph and click mo lang yong promo advertisement and register. Hi enriqueta, nagregister din ako, at nakakatanggap din ako ng email with electronic raffle entry nos., pero hindi lagi. Baka busy. Wala pa kasing new Pag-ibig CEO, kaya siguro mabagal ang website nila at hindi on-time ang mga responses. Pero maganda rin yan na pumunta kayo kay Tulfo para Pag-ibig will be energized. Nagparegister anak ko. Naconfirm naman. Pero hindi p nakakatanggap ng electronic raffle entry. Malaki n naihulog nya. Suppose to be meron na sya 30 raffle entries pero wala. Ano n yan lokohan lng yata. Hi Bienvenido Johnson, nagbayad na po ba kayo ng at least 600 pesos sa Pag-ibig? Pag hindi pa, magbayad po kayo ng 600 pesos sa Pag-ibig branch nio o sa Bayad Center for this month of October 2016. Isulat nio yong Pag-ibig MID no. nio, then kapag na-post na yong bayad nio (maybe after 3 days), subukan nio uli mag-enroll sa 1M promo. Pag sa branch nio kayo nagbayad, ma-post siguro yon the next day. rafflehelpdesk@pagibigfund.gov.ph and sent them your Pag-ibig MID No. and personal data. They will provide 1 raffle entry per P600.00 of monthly savings. Bakit hindi po ako maka join sa expanded raffle promo, bakit invalid ung MID # na inilalagay ko sa form ko sa form, ilan po ba yung # ng MID? tama po ba ang intindi ko n may monthly raffle draws…. if yes where can I see po the monthly winners… ? Hello Ms. Nora, is this applicable for Pag-ibig MP2 only? How about the members of Pag-ibig MP1? Is this a one time savings only? Or this will serve your monthly savings na in Pag-ibig, hindi na po babalik sa 100 a month? Please response. Thanks ahead!